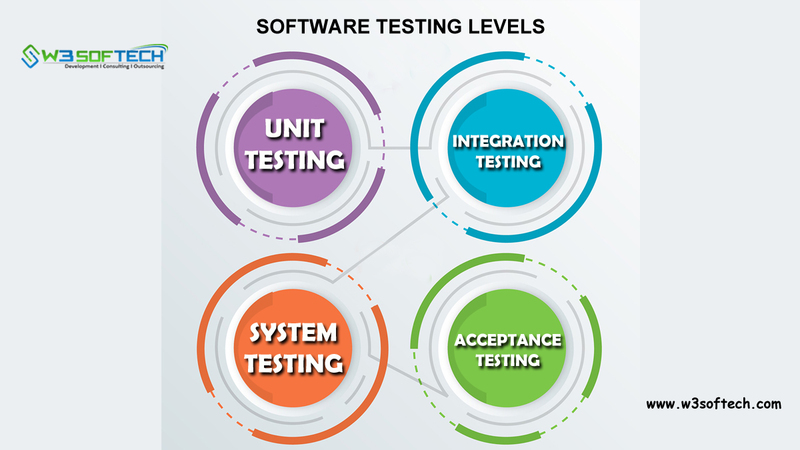 There are total four levels of testing available in software testing. Here levels can be defined as the process of each and every component of a system is being tested. These four software testing levels are designed to determine any missing errors or functions of a software application in the development of software testing lifecycle. It is the first level of testing in Software Testing also one of the types of functional testing. A unit of a software system is being tested to check the performance of the system is said to be Unit Testing. The main function of unit testing is to test each unit or component of a software application separately. However it is impossible to test each and every unit of software system as there is a limitation for number of scenarios. It is one of the levels of testing in software testing also comes under functional testing types. It is quite opposite to the unit testing. Integration Testing is a combination of different units or modules. To make a group and perform testing to check the performance of a system. The main aim of this testing is to recognize the interface between the modules. It helps to determine the compliance of a software system which also meets the specific requirements and quality standards. System Testing involves load testing, performance testing, reliability testing and security testing. It also comes under functional testing types and black box testing technique. However it is impossible to perform testing on the whole system so that it uses some of the automation testing tools. It is the final level of testing in software testing which also comes under one of the functional testing types. Acceptance Testing or User Acceptance Testing (UAT) helps to determine whether the software application is ready to deliver. It plays a major role in checking whether the system meets expected business requirements and quality standards and ready to deliver.